Every little girl dreams of meeting a handsome Prince who sweeps her off her feet, down the aisle and into his palace where they shall live happily ever after. A typical childhood fantasy – but now I do know one such little girl who grew up to have it all! 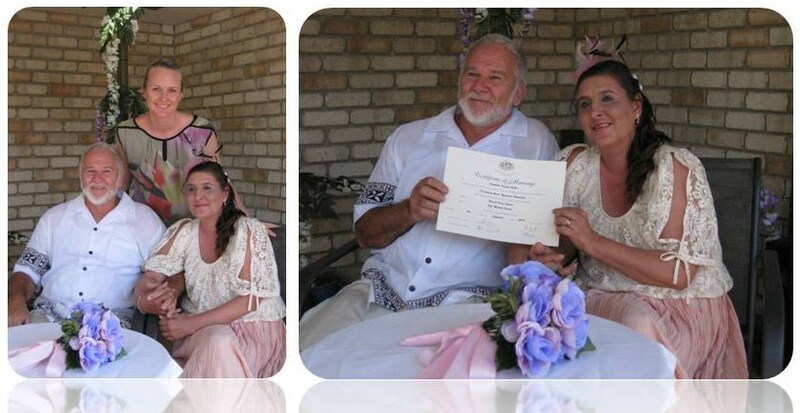 I had the honour of tying the knot of Mr and Mrs Prince at their Brisbane palace in February. Their yard was filled with a marque that was in turn filled by their combined brood of seven children and closest family and friends. The charming Alan escorted his beautiful bride, Kathryn, down the aisle to stand together before their guests, but it was as though everyone else disappeared and only the two of them were standing there, beneath the chandelier, looking into each other’s eyes. Their wedding ceremony was short, but fun and sweet, as all seemed quite keen to get to get on with the celebration! The enamoured couple made promises to each other which they had written themselves. She promised to drink beer and watch sport with him, while he promised to teach her more about sport so she wouldn’t interrupt during important moments. Seems the pair is already well on the way to living happily ever after. Congratulations Mr and Mrs Prince. As much as I love a big fat greek wedding will all the frills and distant cousins, I really admire a couple that can keep it low key and just get on with the core business of getting hitched. I spent a lovely Sunday afternoon in September marrying one of the sweetest couples I have ever come across. 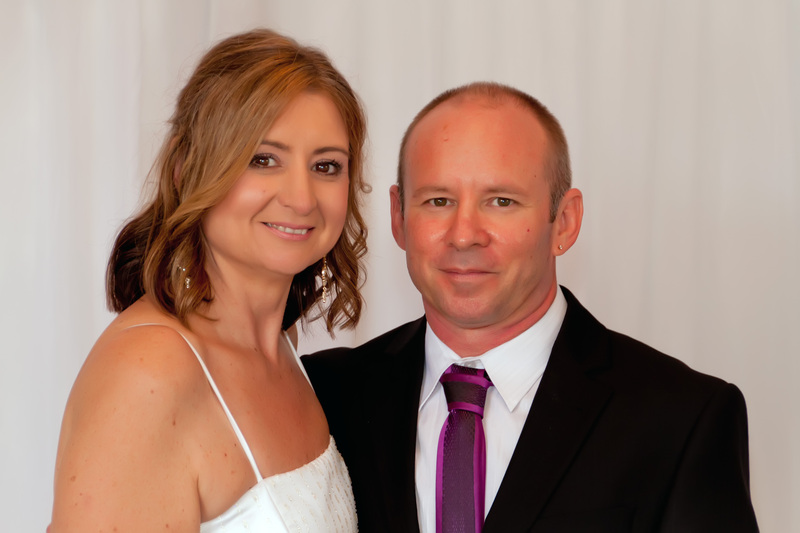 Having both been married with children before, these two love birds tied the knot on their back deck in front of only their immediate family and a couple of good mates. The lack of formality took nothing away from the meaning of the ceremony as these family and friends joked, laughed and even had a bit of a cry throughout. It was a lovely wedding to be a part of and I must admit I teared up a bit myself, which is a bit of an occupational hazard!